Currently, Mortal Kombat co-creator Ed Boon is gearing up for the long-awaited eleventh installment of the popular video game franchise. But apparently, he wants to bring the series’ beloved combat mechanics to an entirely different set of characters. During an interview with Game Informer (via DualShockers), Boon revealed that he met with Marvel about developing a fighting game packed with their vast assortment of costumed heroes. “We would love to make like a Marvel fighting game or Marvel vs. DC I think would be the coolest,” said Boon. Although Marvel and DC superheroes have headlined plenty of video games in the past, there has never been a game that features characters from both universes. If Boon gets his wish, there are a number of comic book crossovers he could look to for inspiration. Among others storylines, the game could follow the the plot of 2003’s JLA/Avengers miniseries written by Kurt Busiek and illustrated by George Pérez. Marvel is no stranger to fighting games. The Marvel vs. Capcom series has been a fan favorite ever since X-Men vs. Street Fighter debuted as an arcade game in 1996. 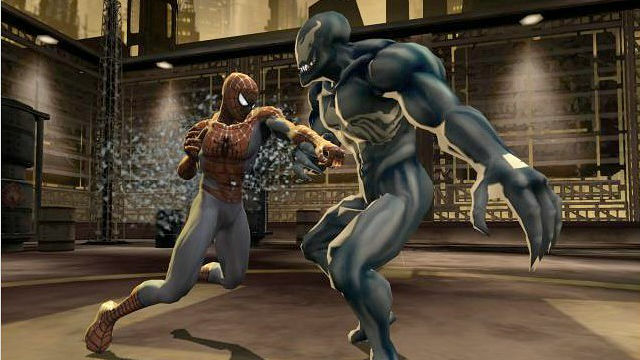 In 2005, EA released Marvel Nemesis: Rise of the Imperfects (pictured above), which pit several heroes against a new team of supervillains. The company has also expanded its beat-em-up presence to mobile devices in recent years with Marvel: Contest of Champions. Would you like to see Marvel and DC heroes face off in a video game? Tell us what you think in the comment section below!